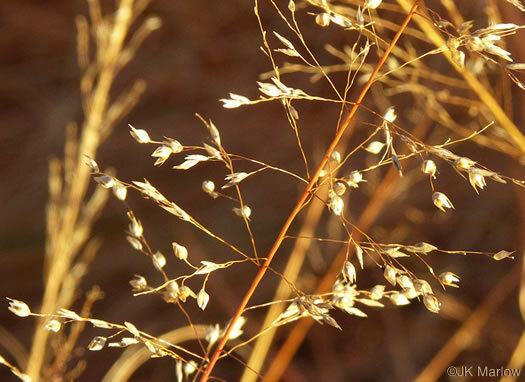 Your search found 7 image(s) of seedheads of Sporobolus species. 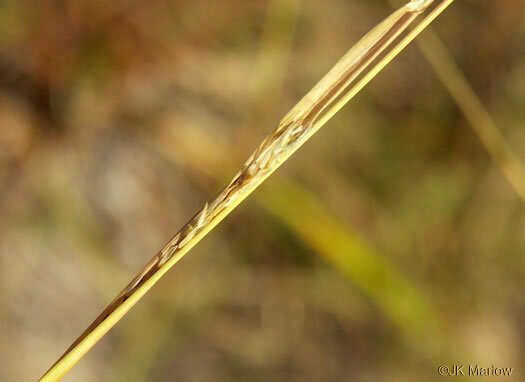 Panicle oblong or narrowly pyramidal, open, per Manual of the Grasses of the United States. 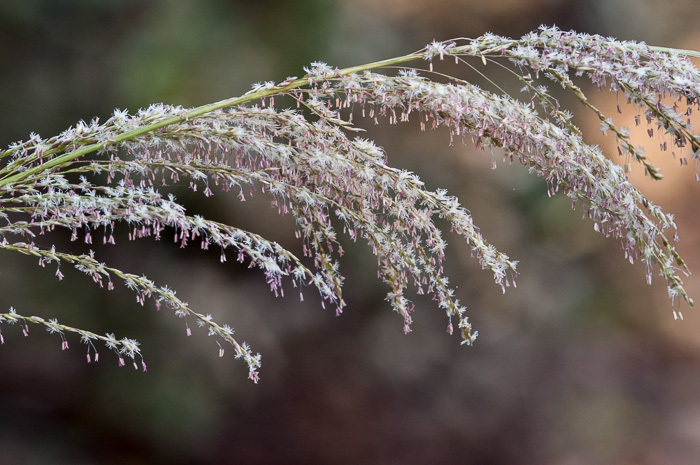 Panicle branches whorled, per Vascular Flora of the Carolinas. Panicle open, branches ascending and primarily alternate, per Vascular Flora of the Carolinas. 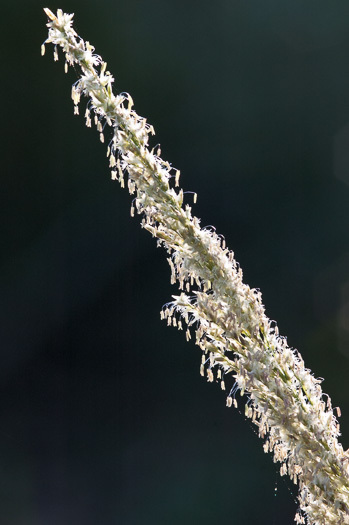 Panicle usually spikelike but more or less interrupted, per Manual of the Grasses of the United States. 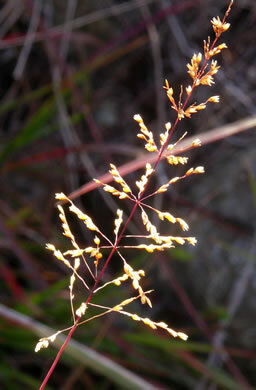 Panicle narrow, contracted, 5-10cm long, usually partly enclosed, per Manual of the Grasses of the United States. 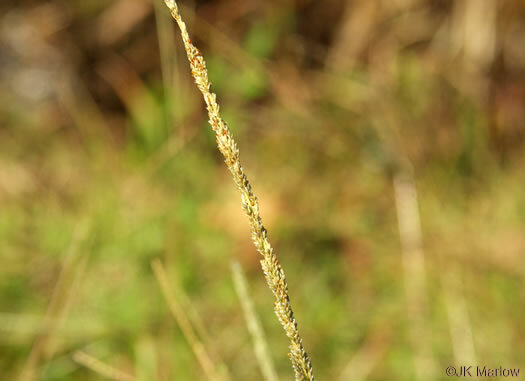 Primary branches appressed to strongly ascending, spikelet-bearing to base, per Grass Manual on the Web. 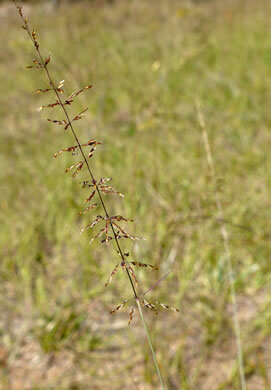 Panicles 14-35cm long, 0.4-3cm wide, contracted, interrupted, and rather lax, per Grass Manual on the Web.